What type of learning I should think about doing and also what type of learning is necessary for the industry I work in, the so called ‘Flat White Economy’? Forgot your soya lattes, Flat White’s are where it is at these days. Or rather the ‘Flat White Economy’, a term describing those coffee loving hipsters from London who work in the Media, Internet and Creative (MIC) sector. A sector which is set to increase London’s growth rate over the next five years to 15.4pc according to the Centre for Economics and Business Research (CEBR). This will reinstate London as the UK’s fastest growing region. Of course these industries are essential in driving innovation and growth in the rest of the UK too, So what types of skills and behaviour do we need to need learners and workers to adopt to support this growth? An interest In technology. Obviously. Much of this economy is driven on (new) technology and of course we need coders and programmers. Not everyone needs to be technical but they do need an understanding of different types of technology and how different systems work together. BTW teenagers spending 5 hours online on social apps and messaging does not count. Being able to put yourself in someone else’s shoes and understand the world from their perspective. A great example of this University Warwick Business Programme where students take on different roles in Shakespeare Plays to better understand the world from different characters’ viewpoints. Being good at fostering and building relationships. With clients, within teams and with all different levels of stakeholders within the business. This is especially important to maintain as more of our work is being conducted remotely and over the internet. Never underestimate the power of asking someone to go for a coffee to chat about a project. Being Curios and interested in what is going on. Questioning why things or processes work the way they do and thinking about ways to improve them. Creativity is not always about something new but rather is new ways of looking at old problems and being smarter about how we solve them. Closely aligned to curiosity is the ability to define and solve problems creatively. As I mentioned in a previous blog looking at different definitions of intelligence, one researcher closely linked being smart to how quickly a person can take in information and grasp the complexity of the situation. And of course having the imagination to come up with creative insights and solutions. 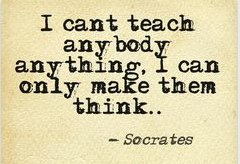 Embracing Lifelong Learning and recognising that we could always benefit from more learning. This is about being reflective, open to feedback and curios about the world. Being Adventures. To learn by doing, succeed by failing. To be up for giving it a shot and not giving up when it does not succeed the first time. Always testing our own assumptions. Learning and Improving. Flexibility (and Trust) and the willingness to work within new situations and jobs that are increasing no longer just 9 to 5 or even office based. Of course its not just learners and employees who need to think about what skills they need to embrace for the future. Management in our educational systems and workplaces need to think too about how they will encourage and support this skills and behaviours to create that climate of innovation and growth.